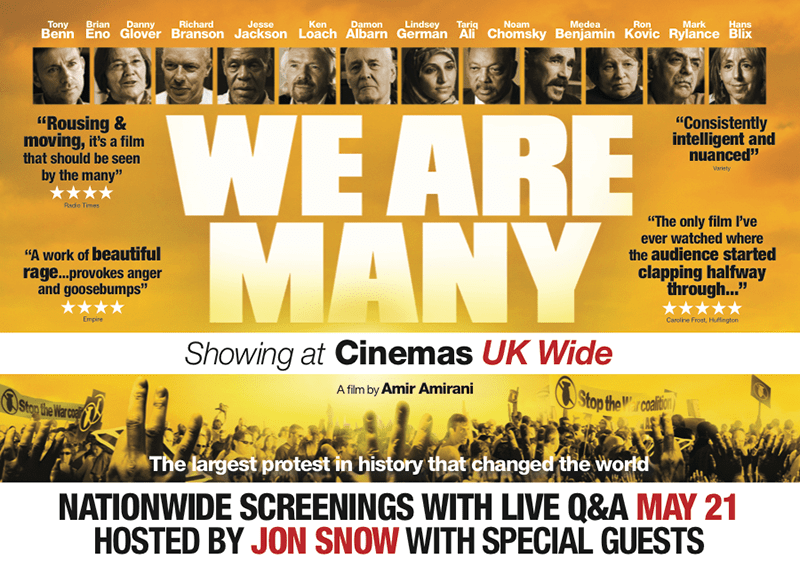 The film We Are Many, which highlights the big march in 2003 against the invasion of Iraq is about to hit 100 cinemas throughout the UK and shows far more than most people know, about what happened on that day! Stop the War Coalition and We Are Many are working together to raise awareness about the release of the film, We Are Many. It launches in cinemas at 8pm on May 21 throughout the UK and there will be a live Q&A via satellite link broadcast to each cinema showing the film on the night!